The db2 file extension is related to the Tekla Structures software, a tool for structural engineers, developed by Tekla Corporation, available for Microsoft Windows. The db2 file contains numbering database. 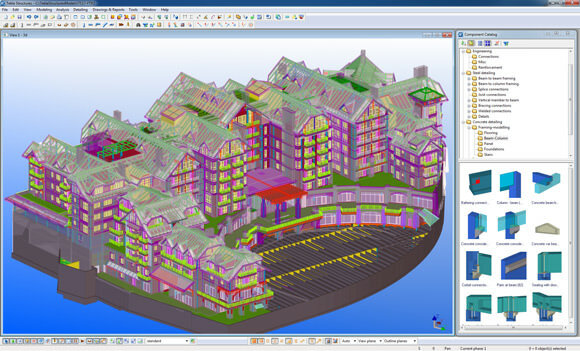 Tekla Structures is Building Information Modeling (BIM) software that enables the creation and management of accurately detailed, highly constructable 3D structural models regardless of material or structural complexity. Use Tekla Structures to work with db2 files. Programs supporting the exension db2 on the main platforms Windows, Mac, Linux or mobile. Click on the link to get more information about Tekla Structures software for open db2 file action. Programs supporting the exension db2 on the main platforms Windows, Mac, Linux or mobile. Click on the link to get more information about Tekla Structures software for create db2 file action. Click on the software link for more information about Tekla Structures software. Tekla Structures software uses db2 file type for its internal purposes and/or also by different way than common edit or open file actions (eg. to install/execute/support an application itself, to store application or user data, configure program etc. ).